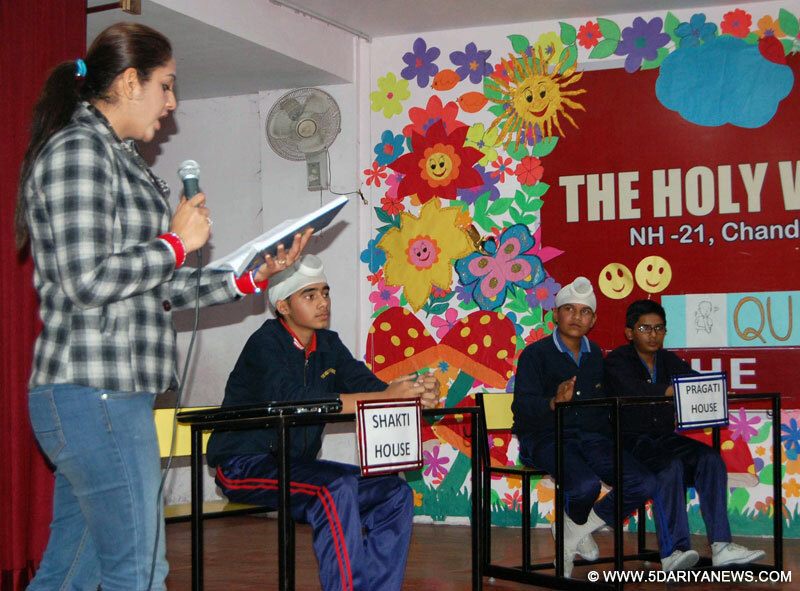 The Holy Wonders Smart School organized Inter House Quiz Competition at its campus . The event witnessed enthusiastic preparation and participation. The aim of the competition was to inculcate the quest for knowledge among the students and enhance their knowledge beyond academics Topics on current affairs, English, Maths, Envirnoment, social studies and science. The competition ensured that the teams minutely read every detail in the newspapers of the week gone by. Four rounds were conducted which included Rapid, fire, Buzzer round and Audio visual round. In between different rounds there were few questions for audience and those who had given correct answers were given special prizes by the Director, Ashween Arora . The students had worked hard to put their best performance. Director of the school Ashween Arora congratulated the winning house Unnati, encouraged and appreciated the efforts of teachers and students in making the event successful. According to her Education and competitions are very closely related as competitions are put in education for the development of educational skills. Indeed, without competitions, Education cannot be imagined. She further informed that school organized quiz that provide fun, promote student’s knowledge at the same time, increase information and making them confident.